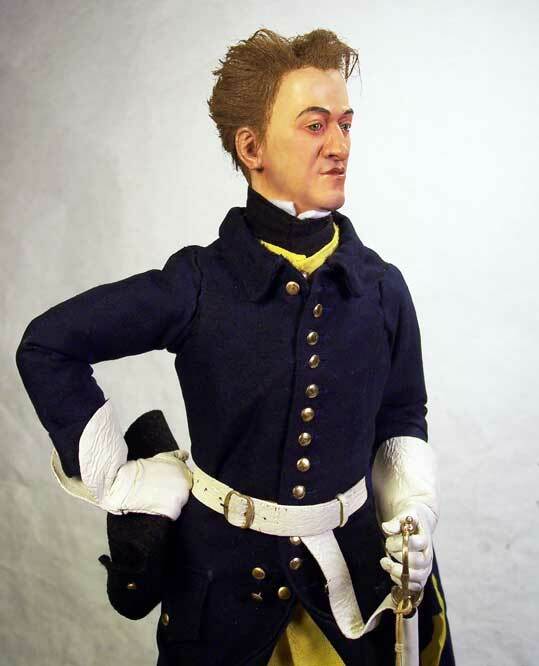 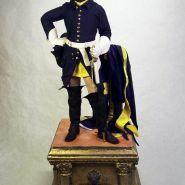 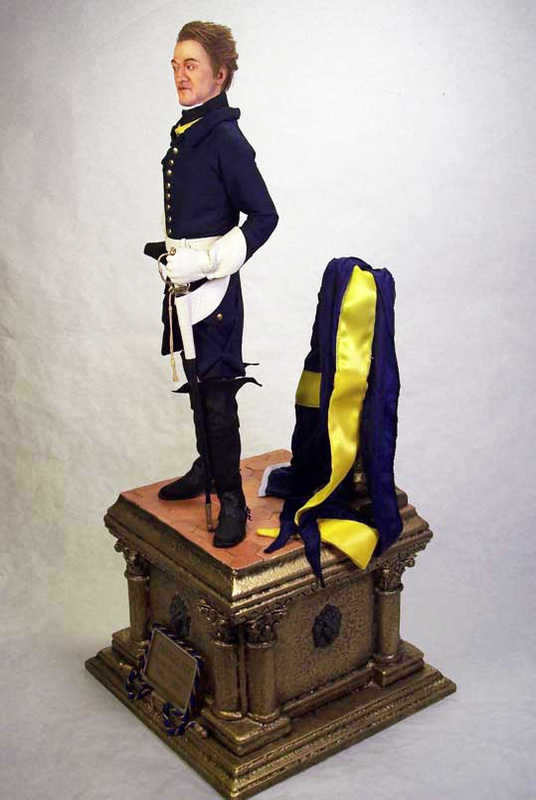 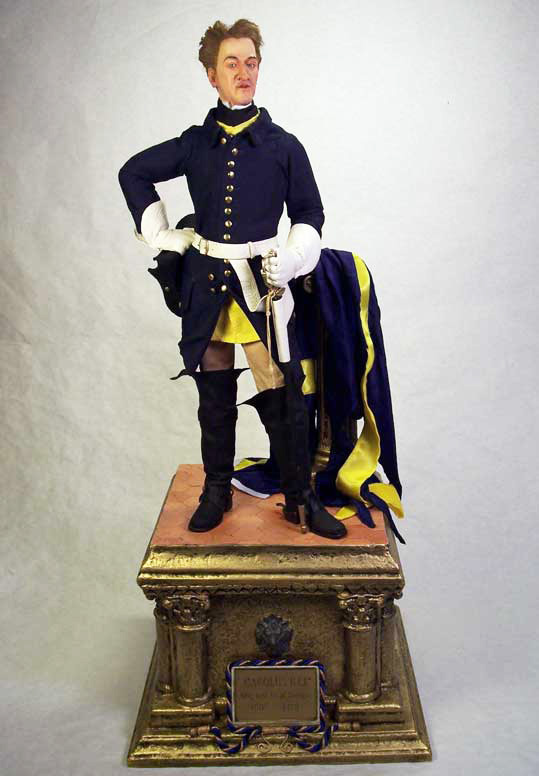 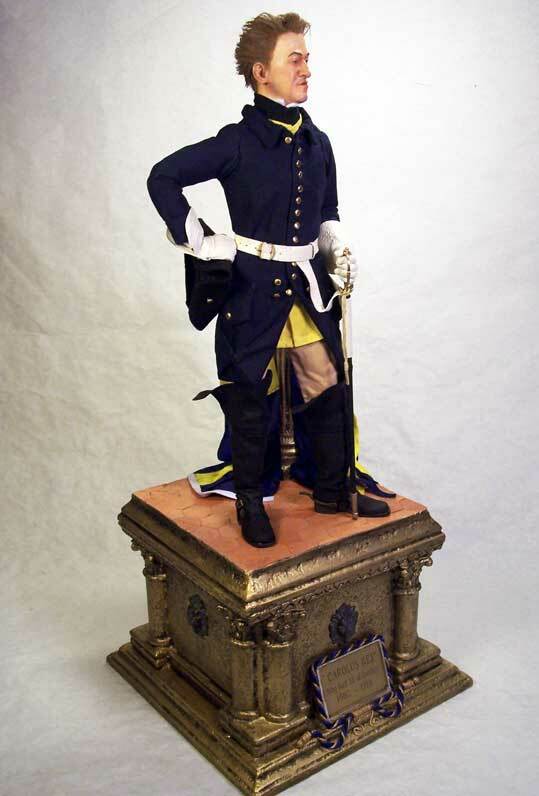 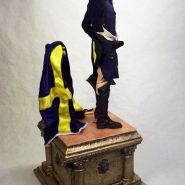 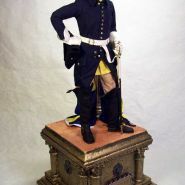 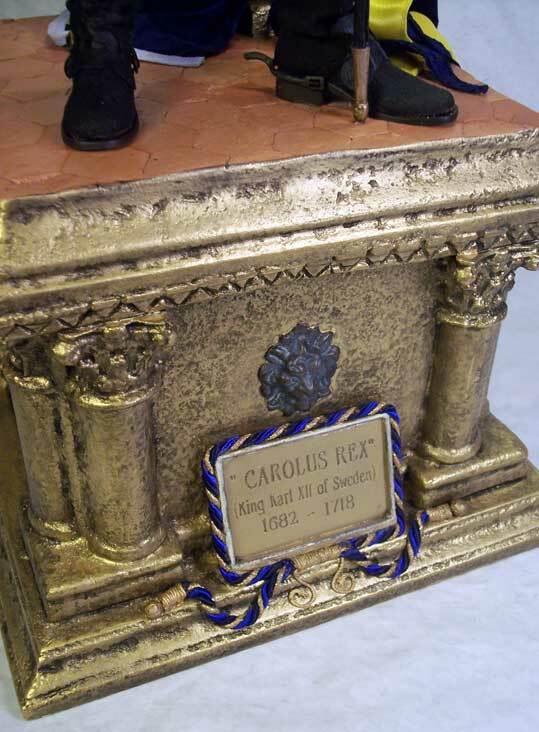 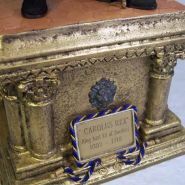 Charles XII also Carl of Sweden, Swedish: Karl XII, Latinized to Carolus Rex (‘Charles the King’) (17 June 1682 – 30 November 1718) was the King of Sweden from 1697 to 1718. 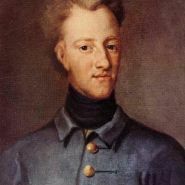 Charles was the only surviving son of King Charles XI of Sweden and Ulrika Eleonora the Elder. 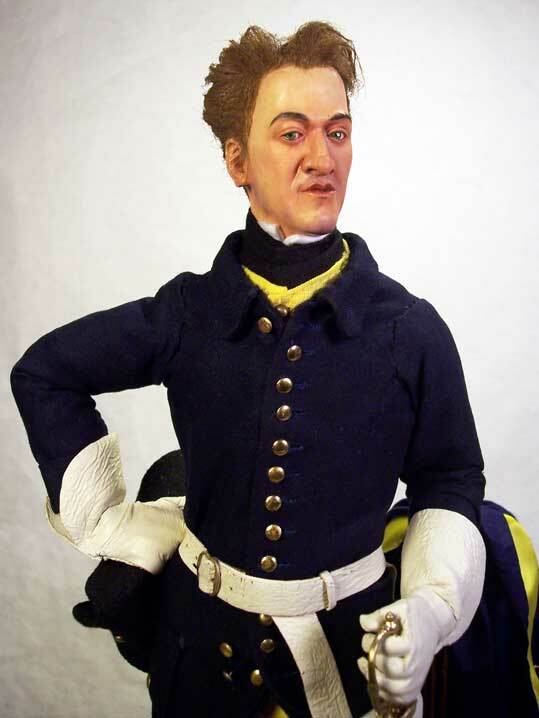 He assumed power, after a seven-month caretaker government, at the age of fifteen. 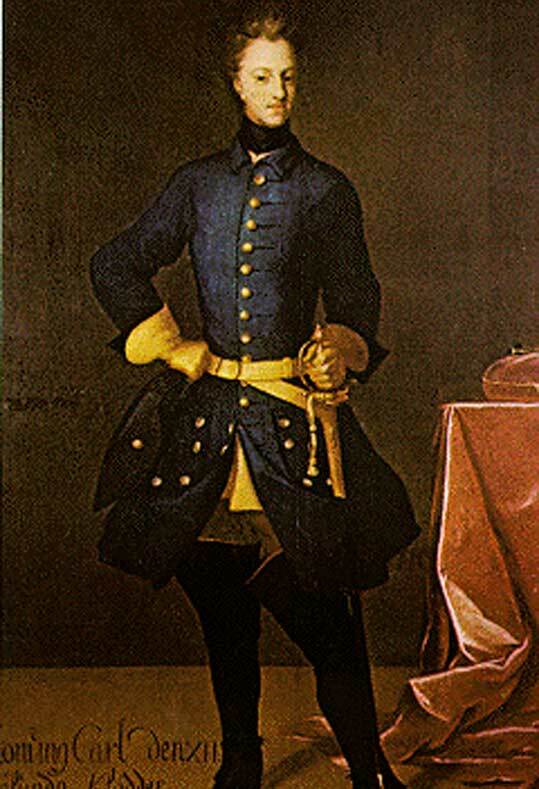 In 1700, a triple alliance of Denmark–Norway, Saxony–Poland–Lithuania and Russia launched a threefold attack on the Swedish protectorate of Swedish Holstein-Gottorp and provinces of Livonia and Ingria, aiming to draw advantage as Sweden was unaligned and ruled by a young and inexperienced king, thus initiating the Great Northern War. 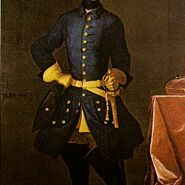 Leading the formidable Swedish army against the alliance, Charles had by 1706 forced to submission all of his foes except Russia. 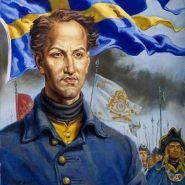 Charles’ subsequent march on Moscow ended with the dismemberment of the Swedish army at Poltava and Perevolochna, and he spent the following years in exile in the Ottoman Empire before returning to lead an assault on Norway, trying to evict the Danish king from the war once more in order to aim all his forces at the Russians. 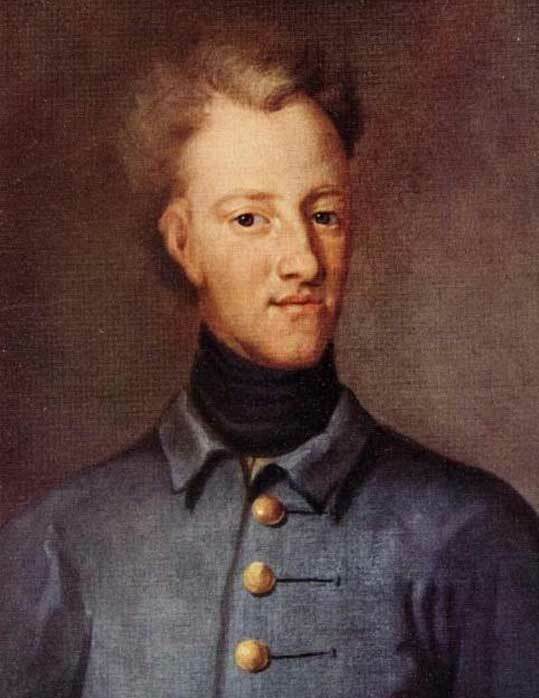 Two failed campaigns concluded with his death at the Siege of Fredriksten in 1718. 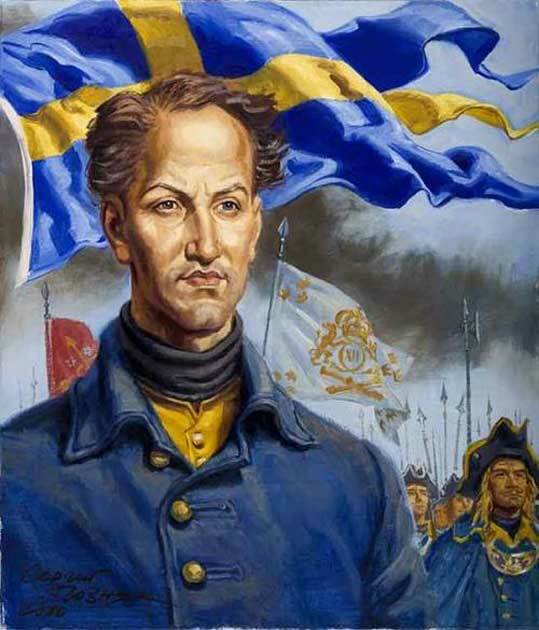 At the time, most of the Swedish Empire was under foreign military occupation, though Sweden itself was still free. 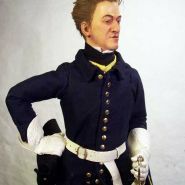 This situation was later formalized, albeit moderated in the subsequent Treaty of Nystad. 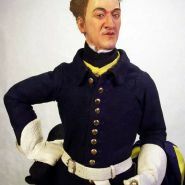 The close would see not only the end of the Swedish Empire but also of its effectively organized absolute monarchy and war machine, commencing a parliamentarian government unique for continental Europe, which would last for half a century until royal autocracy was restored by Gustav III. 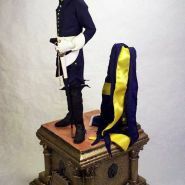 Coat and waistcoat were realized by Franck Le Zuave. 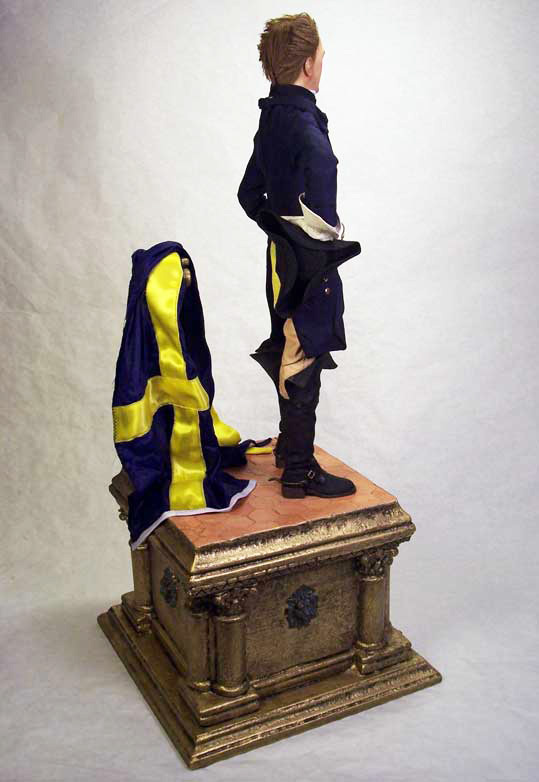 Everything else is done by me from scratch, looking at the king’s portrait.